Iskenderian Racing Cams T-Shirt White 100% Cotton - California Car Cover Co. 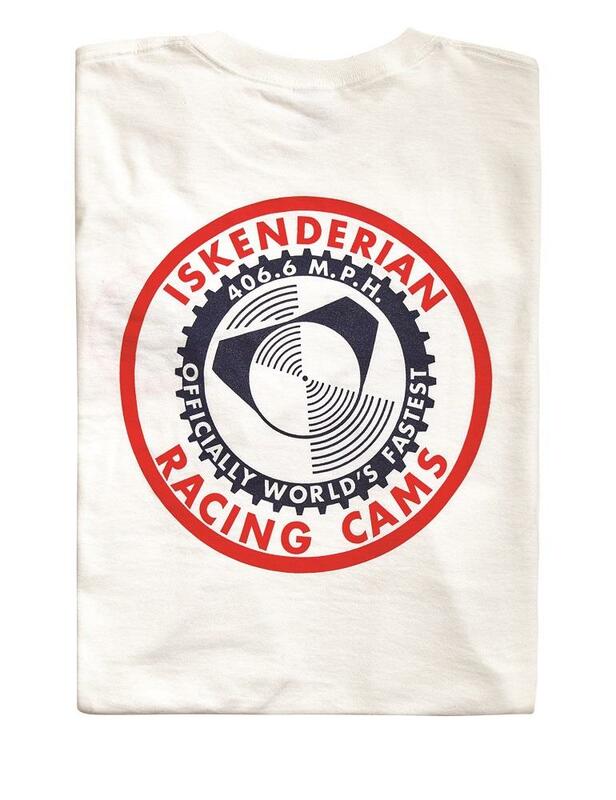 These 100% cotton Iskenderian Racing Cams t-shirts display the logo of one of the iconic cam brands in history. Whether you live on the west coast where Isky was located or you are a customer or fan, this shirt is for you. The logo is silkscreened across the rear of the shirt and there is a small logo on the left front chest.